Automatic structures in Minecraft Bedrock are very convenient and useful from any point of view, because the player has only one action to do (press the button or stand on the plate) to activate this or that mechanism. Agree that it is much better than every time to complete or reconstruct the building. More than 20 individual buildings are on this map. 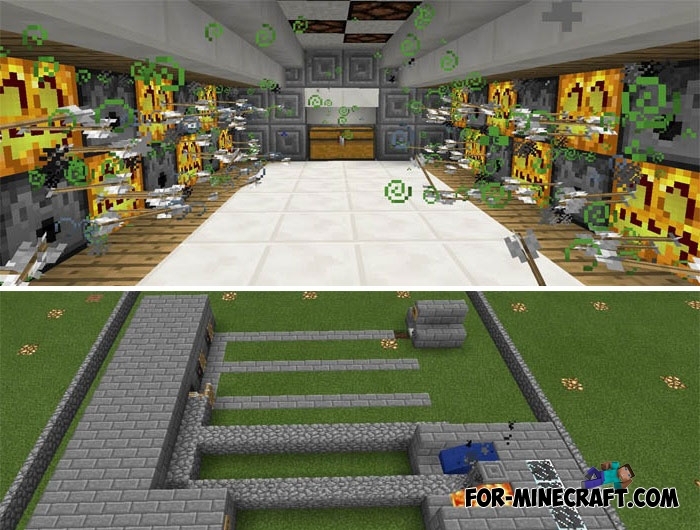 The most important thing is that they work without command blocks, which greatly simplifies the scheme and allows even inexperienced players to build full-fledged copies. There are traps, mechanisms for houses and farms. Some mechanisms are perfectly combined with the scenery, for example you will see a fountain that can be turned on and off after pressing a button. 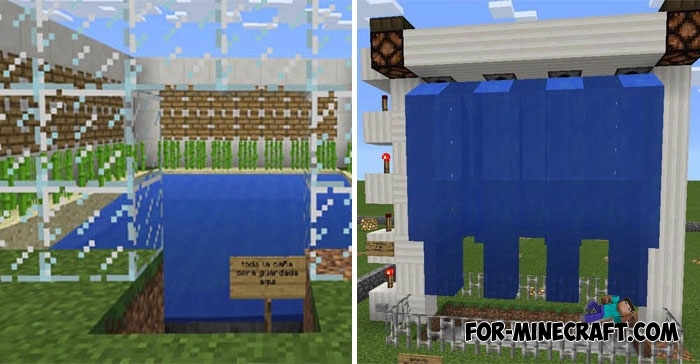 8 Automatic Farms map for Minecraft PE 0.15.0/0.15.18 Automatic Farms map for those players who like to build different kinds of farm and work with a variety of mechanisms.